Fans of this year’s hottest RPG - available exclusively on Xbox 360 - can get their hands on unique and collectible content by pre-ordering ”Mass Effect” at participating U.S. retailers. Microsoft Game Studios and BioWare Corp. announced today that the highly anticipated action role-playing game (RPG) “Mass Effect” has gone gold, and will be offered in a limited collector’s edition. Additionally, an exclusive bonus disc will be offered to consumers who pre-order the game. The bonus disc is available at participating U.S. retailers while supplies last. From the creators of the critically-acclaimed “Star Wars: Knights of the Old Republic” and “Jade Empire” comes an epic space saga exclusively for the Xbox 360 that spans the entire galaxy. 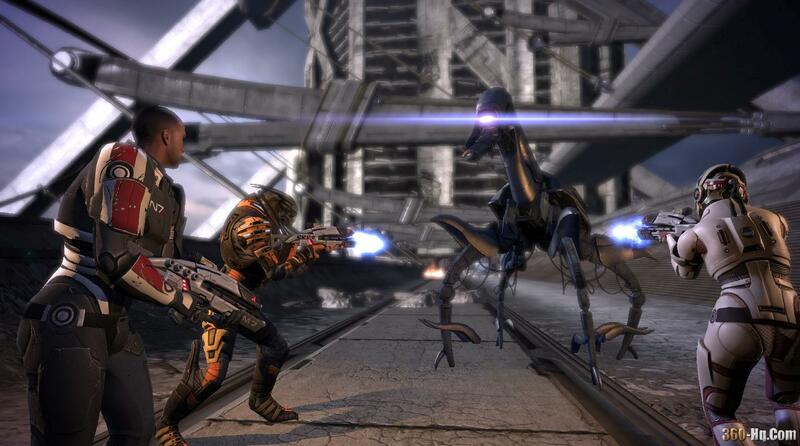 Combining a rich and engaging narrative with intense sci-fi tactical combat, “Mass Effect” features an immersive and cinematic gameplay experience rarely seen before in video games. “Mass Effect” will have an estimated retail price of $59.99, and the limited collector’s edition will have an estimated retail price of $69.99. “Mass Effect” is rated “M” for “Mature” by the ESRB. For more information, visit www.masseffect.com. For more information on Mass Effect don't forget to check out 360-Hq's game database which will link you to achievements, images, videos, cheats and everything else that is Mass Effect.